The Annual General Meeting is a strong moment for a company or an association. Spring is often the period to present the results of the previous year to the different shareholders: the accounts are closed and it is time to communicate the strategy. Leclanché had its annual general assembly recently. 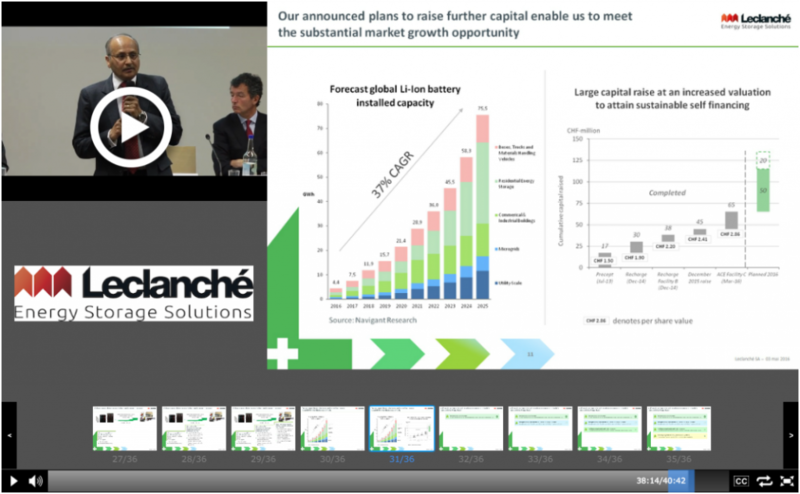 Leclanché is a fully vertically integrated battery energy storage solution provider. Since 2006, the company moved from a traditional battery producer to become one of the first developers, manufacturers and provided of lithium-ion cells in Europe. Leclanché is listed on the Swiss stock exchange (LECN). Anil Srivastava, CEO, presented its strategy to the shareholders. The webcast is publicly available integrated on their website and is also available in French. 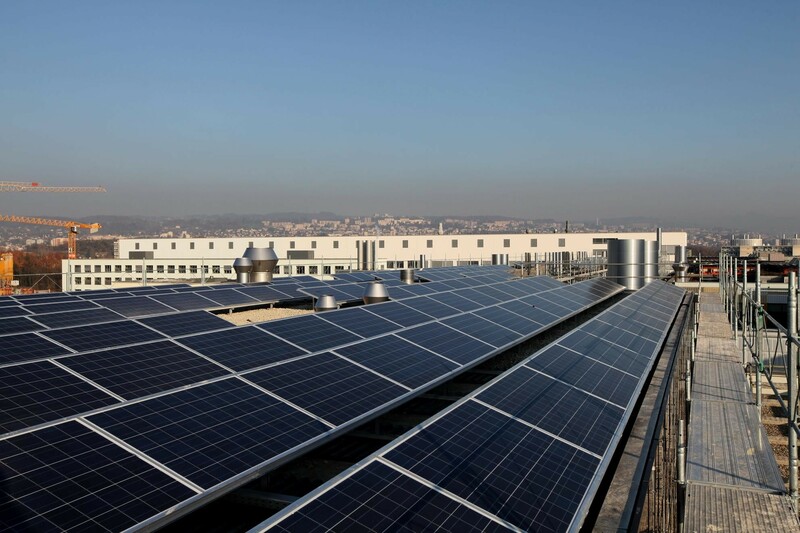 Back in 2014, Leclanche and EPFL innovated to store solar energy. For more information, click here for recent news about the company who is about to raise 50 to 70 millions. At Klewel, we love to help you save the knowledge and gain more visibility by webcasting your events online. Klewel proposes a comprehensive webcasting solution, complete with an audiovisual recording station linked to a web platform that makes it possible to automatically reference, edit and publish content (audio, video, slide shows) in total simplicity. In addition, the content of each presented slide is also indexed. Each event is accessible anytime, anywhere (at home, at the office or elsewhere) and can be viewed on all types of devices: computers, mobile phones, tablets. You organize an event soon? Do not hesitate to contact us!